Explore interactive hiking map, create your own routes and share them with friends. 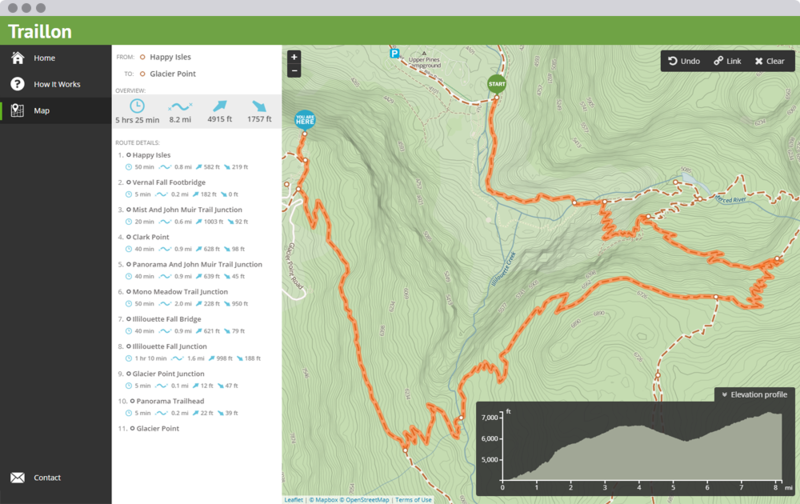 Use our outdoors map to plan your hike and view route analysis in an engaging design. Find new routes, discover new places and enjoy planning your activities. Create, discover and share your trips with friends. Browse trail map loaded with helpful information on trailheads, camping and parkings. Create your own routes and know the plan before you hit the trail. Instantly check distance, time estimate, elevation profile of the whole route and from point to point.